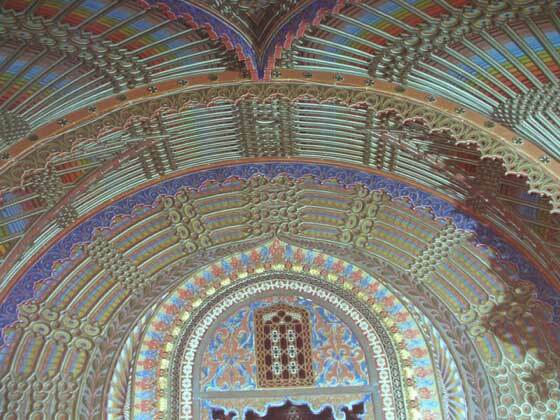 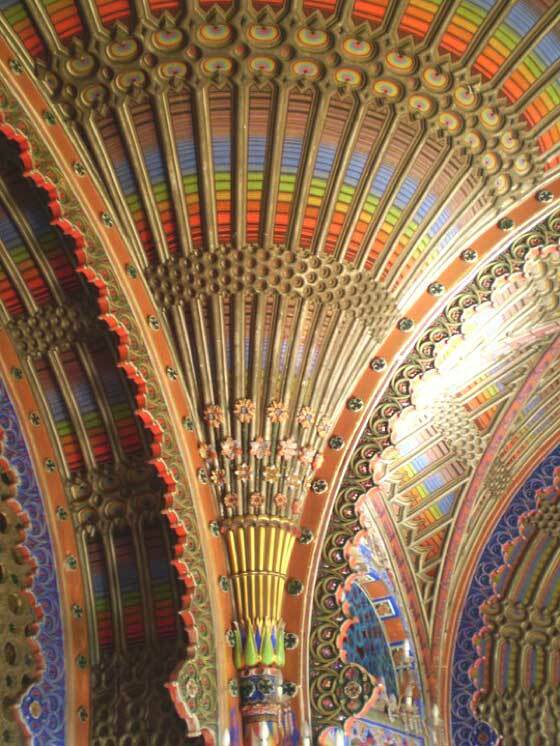 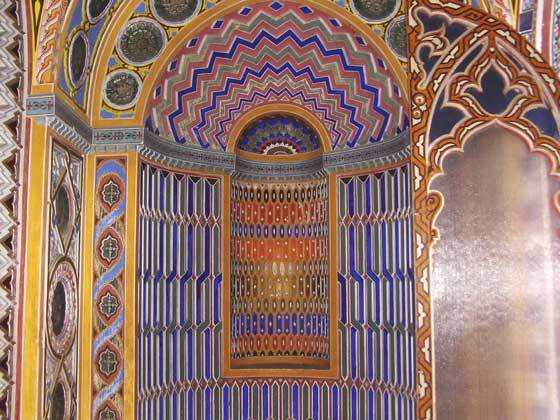 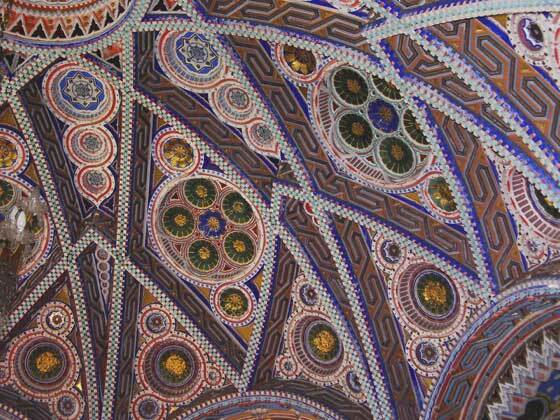 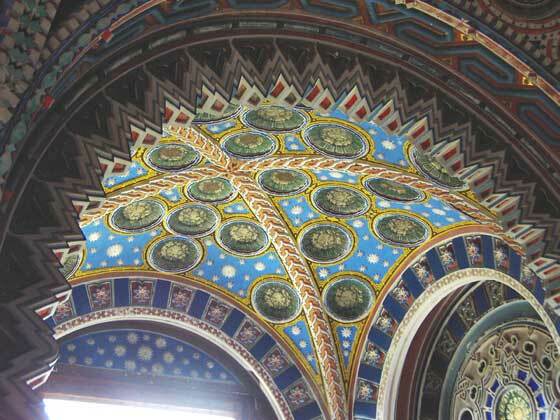 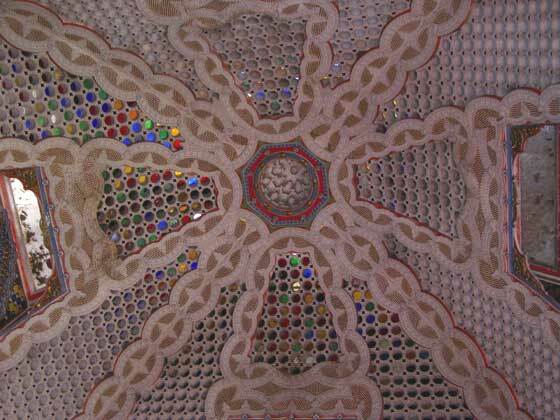 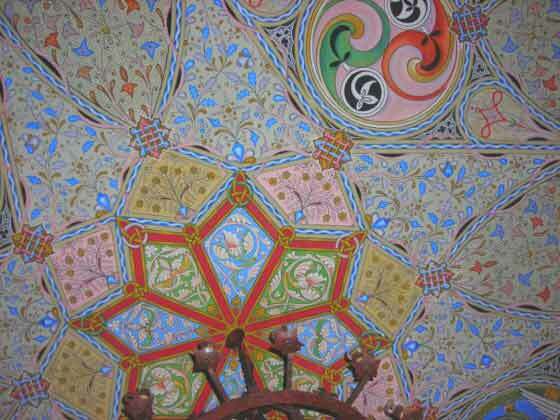 A jewel of decorative elements, a "party for the eyes", surely it has inspired many textile designers: Sammezzano Castle, in the homonym place near Leccio, in Reggello (Firenze). 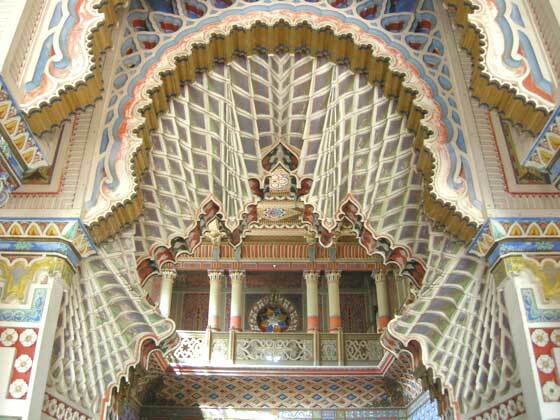 The principal building has been built in 1605 by Ximenes from Aragona. 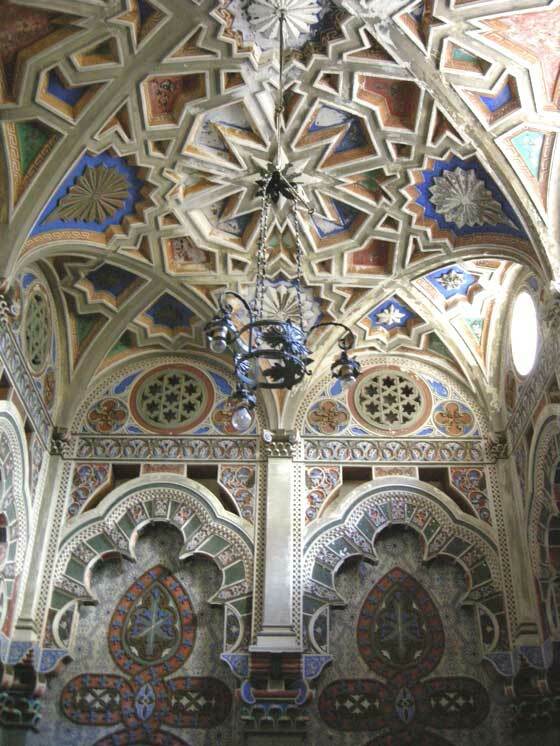 Subsequently it is passed in inheritance to Ferdinando Panciatichi Ximenes that planned it again between 1853 and the 1889. 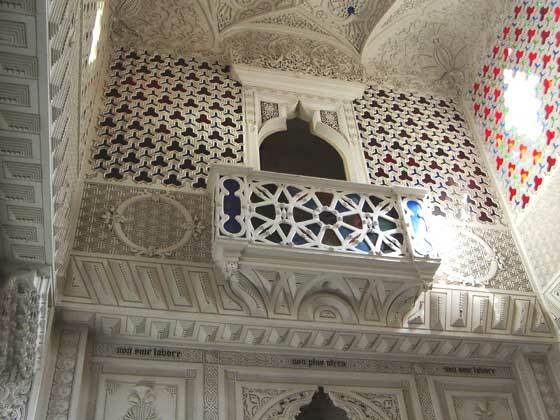 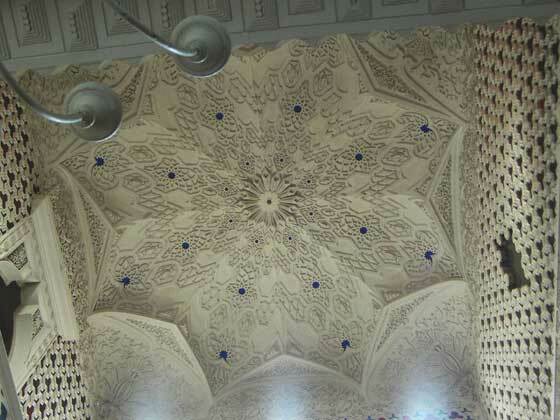 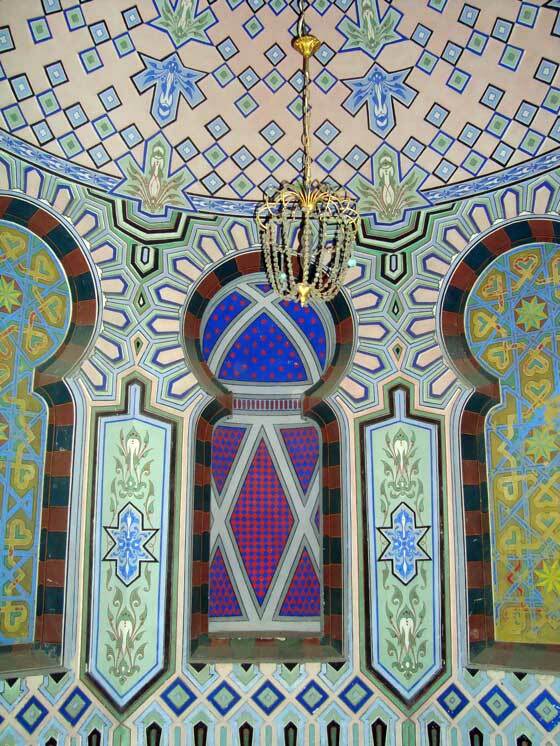 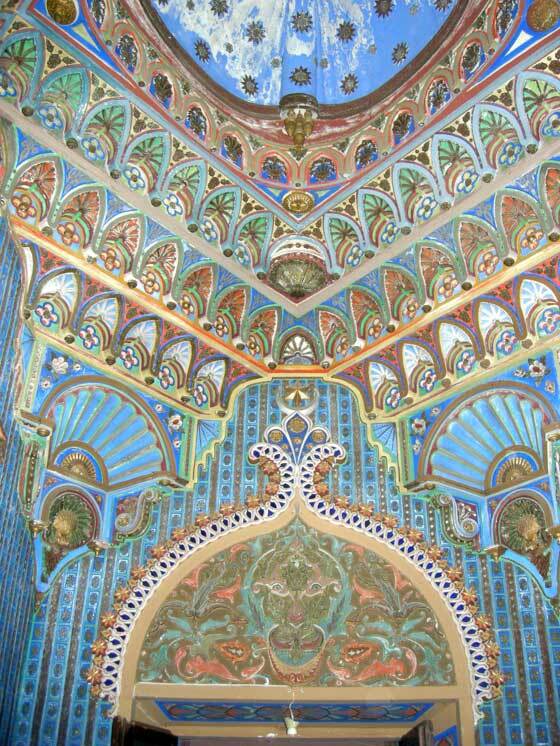 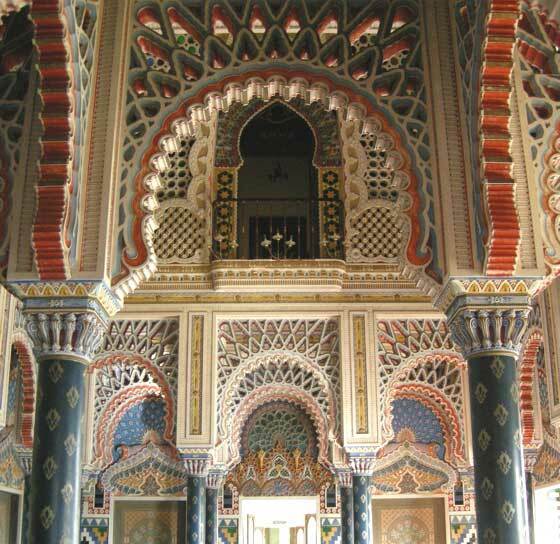 It is an eclectic construction in Moorish style with room with fantastic names: Room of the Peacocks, of the Lovers, of the Spanish Basins, of the Lilies, of the Mirrors. 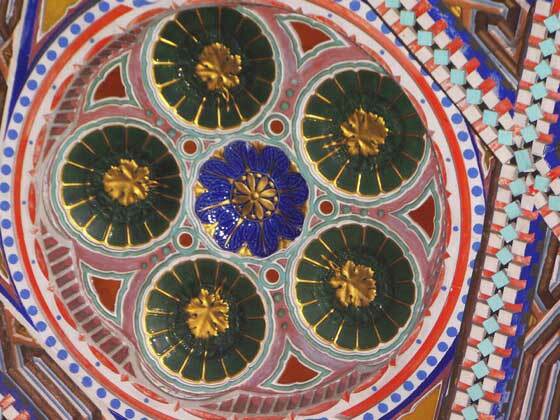 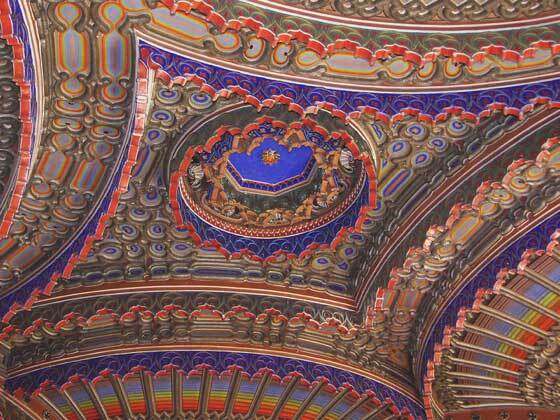 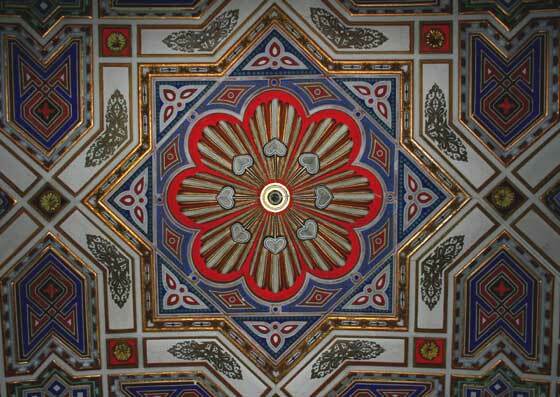 The decorations are fabulous, with patterns and colored and enchanting graphic motives.